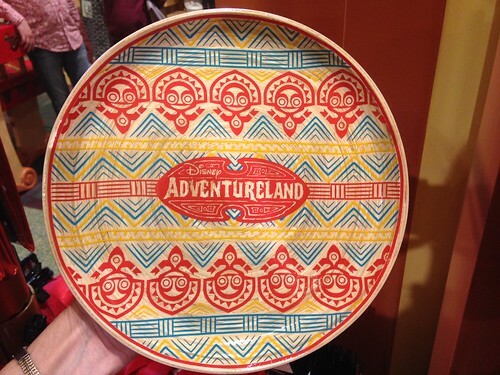 Disneyland recently released a boatload of new Adventureland-themed merchandise that includes tons of tiki items. 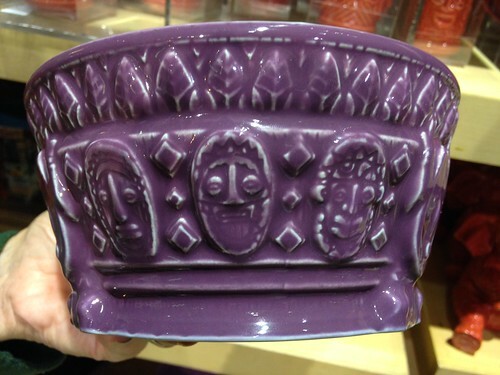 I found this trove of glasses, mugs, pillows and plates at the World of Disney store at Disneyland but all of these items (and still more that I haven’t shown here!) are available to purchase online at the Disney Store. Search for “Adventureland” and you should be able to find it all. 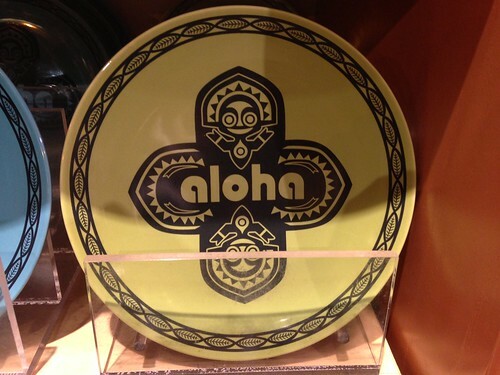 It’s a bit odd that some of the items feature the tiki mascot from Disney’s Polynesian Village Resort, which is a Disney World hotel and not part of Adventureland at all (or even the Magic Kingdom park). 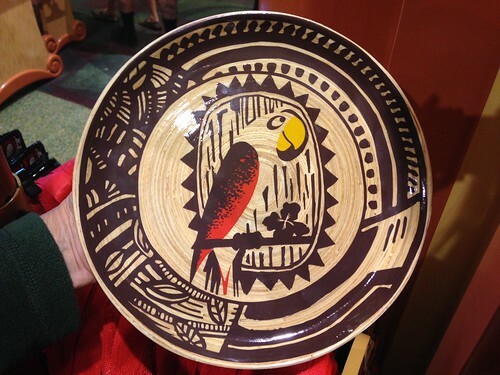 However, there is a precedent, as this little interloper also snuck in via the Polynesian Luau Party Bowl (by Kevin Kidney & Jody Daily) that was part of the Enchanted Tiki Room’s 50th Anniversary merchandise. 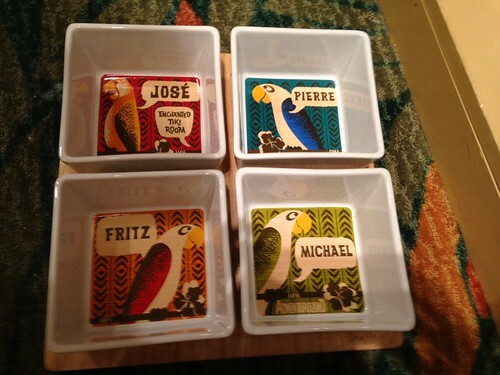 I was also pleased with the quality of the Enchanted Tiki Room appetizer tray and bowl set ($39.95), and I loved how it highlights each of the birds by name. That’s not something I’ve seen all that often. 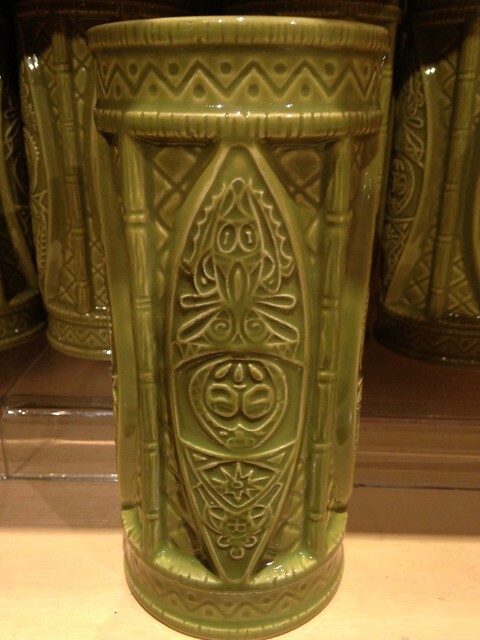 This hefty green tiki mug ($16.95) features the graphics from the four shields that hang under the A-frame of the Enchanted Tiki Room at Disneyland. Still, this one was also missing the “wow factor” for me for whatever reason. 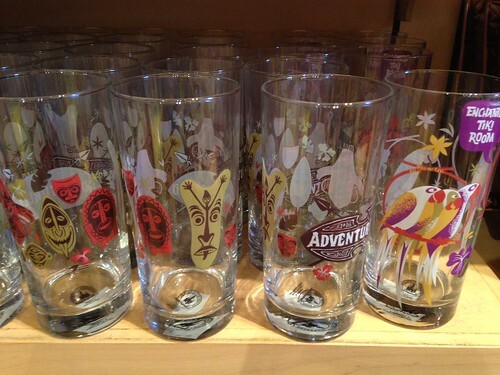 Much more to my liking were these glass tumblers ($12.95), which come in two designs: the Enchanted Tiki Room tikis and the parrot logo (based on the 1963 art for the attraction). 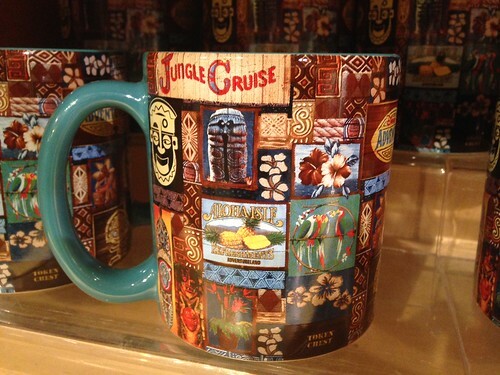 Another distinctive Adventureland design is this collage of logos, which Disney has printed on coffee mugs and afghan throws. 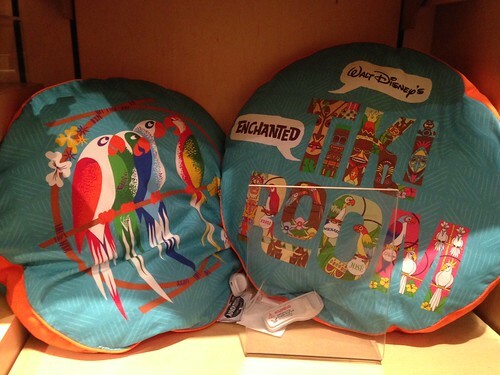 Like I said, there’s way more tiki merchandise where this came from so I suggest you go check it out!